AMG has always been synonymous with performance and rear-drive, but the new Mercedes 4MATIC is about to become an AMG core technology. According to new Mercedes-AMG CEO and Chairman, Tobias Moers, 4MATIC will be available and featured on most of the new AMG models in the future. In an interview with Australia’s Motoring.au at this week’s Best of AMG event at Willow Springs, he revealed some interesting things. Mercedes-AMG took all their AMG performance cars to the Willow Springs International Raceway to test the new 4MATIC system on the 2014 CLA 45 AMG. What they found out was the new all-wheel-drive doesn’t hurt performance but enhances it. The new CLA45 AMG is faster than original estimates. This will have a major factor in AMG performance cars in the future. AMG boss Tobias Moers told Motoring.au, “Future-generation models from Mercedes-AMG will feature all-wheel drive as a core technology across the range. It will also be because strong buyer preference for the new 4MATIC will drive the decision. Moers went on to say that the Mercedes performance brand’s recent experience with the latest 4MATIC E 63 and CLS 63 variants, coupled with the rollout of the compact A-, CLA- and GLA-Class models, have played a big part in the decision to go all-wheel-drive with most AMG models. All-wheel-drive technology has evolved now to the point where it makes sense to include it in high-performance cars. And it doesn’t comprise performance and Mercedes-AMG has been able to “hit all of the brand’s dynamic benchmarks” with the new 4MATIC system. “So I think in the future, there’s not a fear to compromise AMG brand in terms of drive and performance when you use an all-wheel driven car,” he added. The performance-oriented AMG 4MATIC work so well because it distributes the engine torque at a ratio of 33 to 67 percent (front/rear axle).The system is rear-biased and power distribution is able to provides AMG’s performance driving dynamics. The system can increase performance in the corners and enhances driving safety and grip on wet or wintry road surfaces. The main critique of all-whell-drive has been that it adds too much weight to a vehicle. But Mercedes engineers came up with the solution. Power transmission from the front-axle differential to the front-left drive shaft is effected via an intermediate shaft which passes through an encapsulated shaft duct in the engine oil pan. The compact and weight-optimized design results in a comparatively low level of additional weight for the all-wheel-drive system of only 70 kilograms. The all-new 2014 Mercedes-Benz CLA45 AMG is proof that the new 4MATIC will improve performance. 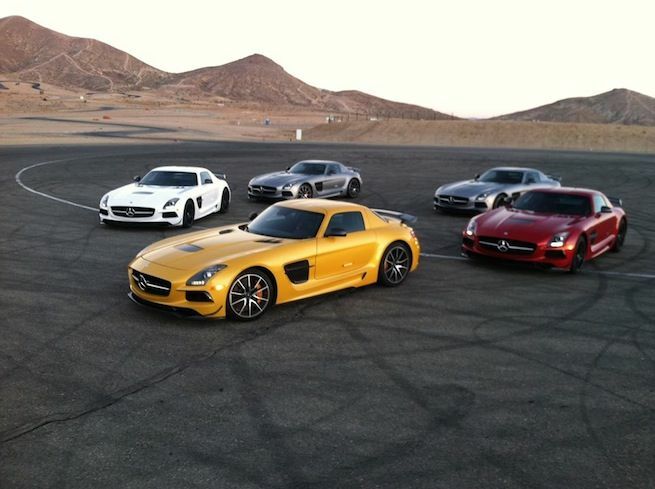 Look for most AMG models to come equipped with the new all-wheel-drive system in the future.